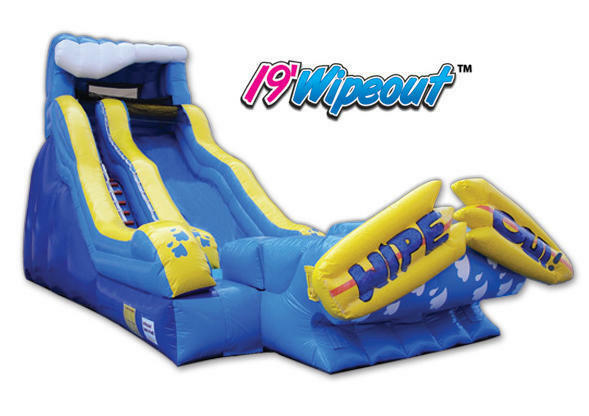 19ft Wipe Out Slide Is Wicked Cool! The Wipeout is awesome. And that's exactly what your guests will say at your next party or event. This is one of the largest inflatable slides around, with a surprise bump about halfway down that will get the kid's attention quick.